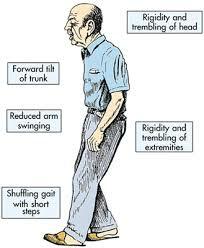 Persons who have been diagnosed with Parkinson’s disease may be eligible for Social Security disability benefits. However, just because Parkinson’s disease has a lot of exposure in the media because of the celebrities who suffer from Parkinson’s disease, that does not enhance the validity of a Social Security benefits claim. You have to be able to prove that your disease has significantly hampered your potential to earn an income, because it results in extreme tremors, prolonged difficulties in walking and other symptoms. In order to be eligible for a claim for Social Security disability benefits, you must have a proper understanding of your symptoms, relative to your diagnosis. Your Social Security disability benefits lawyer should be able to prove that the symptoms are disabling, and that they hamper your ability to work and earn an income. Lisa Siegel is a Social Security disability lawyer, helping persons with disabilities in the metro Atlanta region recover their rightful disability benefits. If you are eligible for Social Security, and have had a claim denied, speak with Lisa to learn your rights.